EveryBody Wellcome to The Pokemon Event Forum. Since This is The First Post and Event I'll Do Something Abit Special... You'll Have To Think Of The Best Name For a Gengar Which Morty Would Use. man...i'm so sorry...i really don't know why my post is being deleted and altered. I didn't post Nightmare as a name. OMG Someone Got The Name!!! Is this a battle in Pokemon Platinum or Heart Gold or Soul Silver? So, when do I get my prize? do hope you guys have fun guessing lol!.. morty =D you got soo surprise that some one guessed correctly "fritz"
I'm not sure which way to sayit but, i'll go right on ahead..
Reason why: Because I've truly have always loved Flying type Pokemon, i have never regretted them or not believed in them. Flying types are usually my secret weapons. 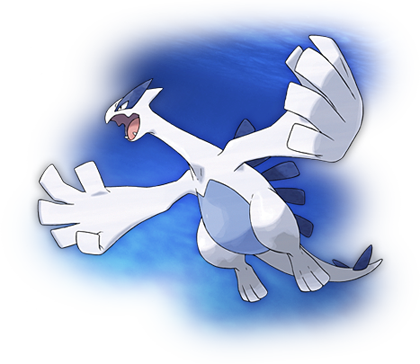 Stradegy: I would make sure that my pokemon are fast and stay alive, with high attacks and Sp. Attack. I'd keep good moves at hand such as Roost, Fly, BraveBird ect.. I'd knock em dead with a max of 3 Full Heals.